Most homes and businesses in Florida have large amounts of tile and grout inside bathrooms and kitchens, but also on interior floors and exterior surfaces such as pools. Nearly every business and home in Florida has a bathroom with stone, glass or ceramic tile on its walls, counter tops or floors. Bathroom tile and grout are typically the dirtiest surfaces in your home because the materials collect bacteria, viruses and mold spores. In addition to seeing contamination from visible mold growth on grout or tile, there are invisible pathogens that can make people sick. It isn’t easy to reach the surfaces around showers stalls or bathtubs, but professional cleaners have the correct equipment for this sanitizing task. Swimming pools are a common fixture at both vacation homes, residential homes and hotels in Florida, and many of these have decorative tile details. The areas around a swimming pool receive a lot of foot traffic along with getting drenched with moisture constantly. 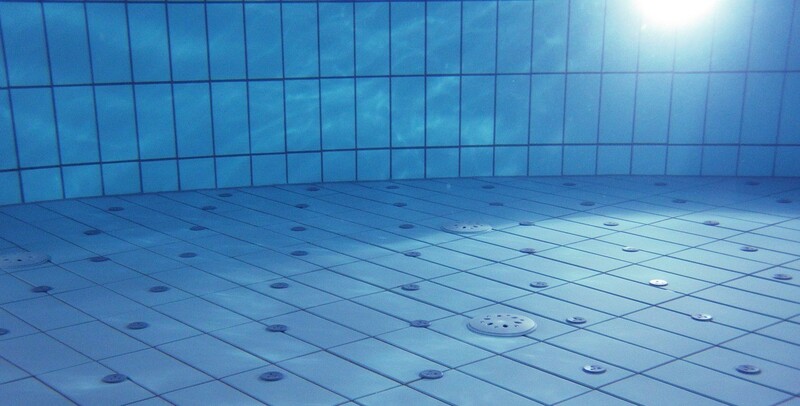 Inside of pools grout and tile is either submerged or in constant contact with pool water. This water contains chemicals that can erode and discolor materials, leaving ugly stains and rough areas. A professional tile and grout-cleaning technician can remove stains, replace grout, repair loose tiles and properly seal everything. Customers are impressed by seeing a sparkling clean business, including floor that does not have grimy debris from foot traffic. A knowledgeable tile care expert can analyze the type of floor surface to provide customized cleaning for certain types of delicate stone or sensitive ceramic. The tile on backsplashes and countertops in kitchens is beautiful with intense colors and patterns, but can get covered with food and beverage debris. The reason that grout and tile in kitchens develop stains is because the surfaces do not have effective sealant layers. A grout and tile-sanitizing specialist can remove the stains before adding a durable but clear layer of protection that will prevent new discolorations. The tile located on floors in homes and businesses is expensive to replace, but with the correct cleaning methods, it will look brand-new and last many more years. No matter whether the tile is made of ceramic, stone or laminated materials, it is possible to scrub away a buildup of debris with the right top of equipment before adding new grout and adhesives. Keeping a home’s tile and grout surfaces is essential for a family and visiting guests at anytime of the year, including the busy holiday season. Caring for tile and grout is a specialized process that requires the expertise of the trained technicians working for Gulf Coast Tile & Grout Renewal.